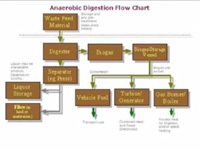 The process of anaerobic digestion to produce biogas is explained in a step by step manner. Uses for biogas are also outlined. Ergenium is an innovative process developed by Naskeo Environment to generate renewable electricity and heat from organic, slaughterhouse waste and agricultural waste. 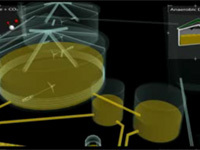 The process is claimed to be up to 20% more efficient than other biogas processes. 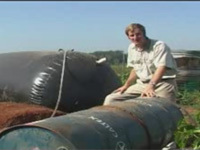 Greenways Farm now runs their entire operation on biogas. This video shows how they scaled up an operation from a concept to produce more than enough electricity from chicken manure. This enabled the farmer to not only cut costs, but also feed electricity back into the grid, while at the same time producing fertilizer for his own fields. 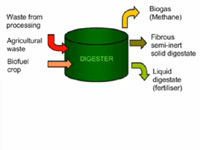 The process of anaerobic digestion to produce biogas is explained. 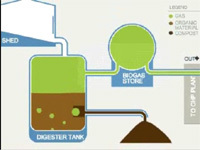 What makes the process totally renewable is also explained, as are uses of biogas. 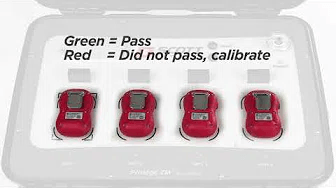 This video shows organic waste matter is used to generate biogas. 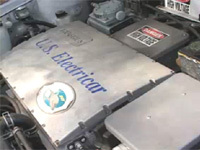 Biogas is a renewable energy source.